“How Do You Stack Up?” Photo Contest! 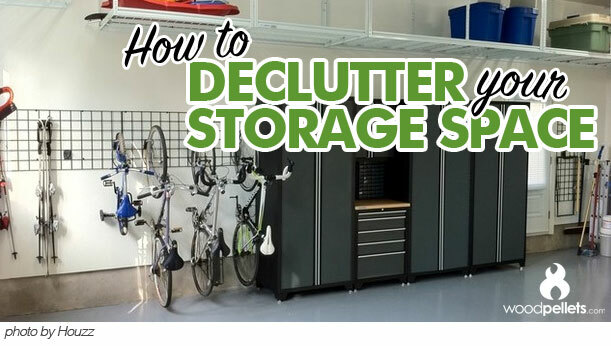 We want to see your stacking and storing techniques! Send us a picture of your pellet and/or wood bricks supply to enter the 2017 “How Do You Stack Up?” Photo Contest! There are two different ways to enter for the chance to WIN! 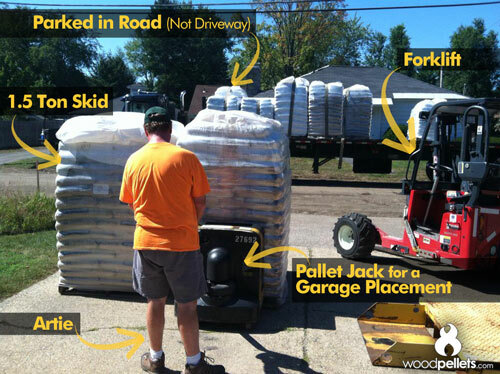 Unfortunately, there isn’t always a bunch of extra space available to keep your wood pellets stored safely, and out of the way. Of course, it’d be best for your wood pellets to be stored inside, but there isn’t always room for that! Unwrapping the shroud and re-stacking all the bags is a great solution to only having small spaces available. 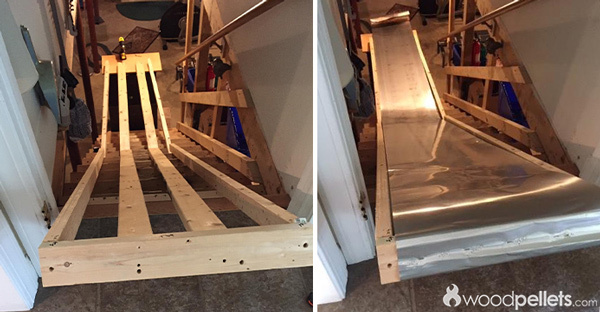 Take a look at how some of our customers stack their pellets indoors, here. 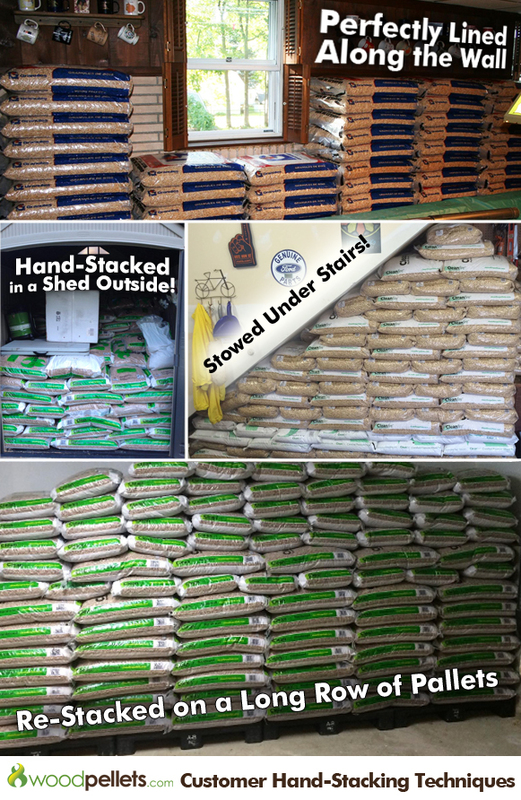 Read how we stacked 50 pellet bags in a very tight space, here. Your pellets can also be stored outside successfully, if you take a couple of extra steps. If you’re having wood pellets delivered to your home for the first time, or are storing them in a new location, it’s a good idea to measure out the space first in order to know what you can fit. First, let’s start with dimensions, so you’ll be able to plan your spaces effectively. 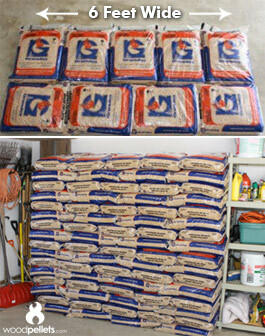 Have you read our post about how to repurpose empty wood pellet bags? What about our tutorials on how to make a water blob, or a kite, or DIY treat bags from empty bags? 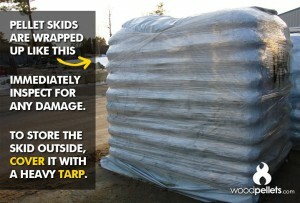 Here’s a new one for you – a pallet tarp! We’ve created a step by step guide on how to use your leftover bags to make an extra layer of protection for your pellets, that fits over a skid of 50 bags nicely.